Jimmy McGovern, "Only The Posh Ones Can Afford To Go Into Acting"
Jimmy McGovern says he is struggling to find actors to play working class roles. 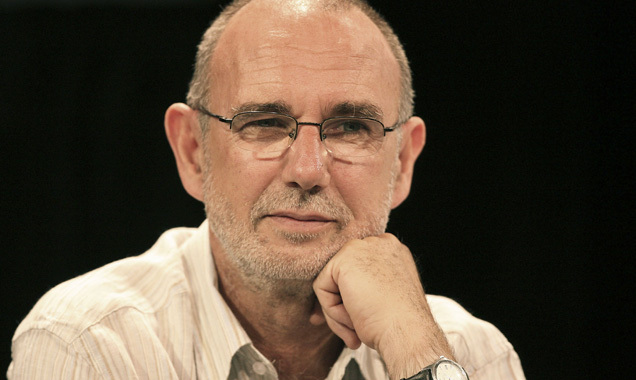 Multi-award winning screenwriter Jimmy McGovern says he struggles to find actors to play working class roles because "only the posh ones who can afford to go into acting." The Brookside writer added his voice to the debate on the privately educated dominating the arts, following contributions from Julie Walters, Michael Gambon, Labour MP Chris Bryant and singer James Blunt. "I'm constantly looking round for actors who can convincingly portray working-class men," McGovern told the Radio Times. "They're getting fewer and fewer because it's only the posh ones who can afford to go into acting." Continue reading: Jimmy McGovern, "Only The Posh Ones Can Afford To Go Into Acting"
Downton Abbey failed to secure one single nomination for the television BAFTAs. This year's BAFTA nominations is a pretty well rounded list, favouring Jimmy McGovern's superb 'Accused' series, the Sienna Miller starring 'The Girl' and 'Last Tango In Halifax,' a drama about elderly sweethearts reuniting through the internet. Notable by its absence though was Downton Abbey, which rightfully failed to secure a single nomination after a dreadful season that, at best, got lukewarm reviews and at worse was ridiculed by critics. Instead it was the Derek Jacobi starring 'Last Tango' and Jimmy McGovern's Accused that led the way, while comedy Twenty Twelve and the Olympics coverage received four nominations each. In the acting categories, Sean Bean was nominated for his excellent turn as transvestite Tracie in Accused, while Jacobi got a nod for Tango. Sienna Miller, as Tippi Hedren, and Anne Reid were both nominated for Best Actress, while the Best Supporting Actress gong should go to either Imelda Staunton or Sarah Lancashire. Though American audiences are seemingly all too happy to eat up whatever Julian Fellowes scribbles down for Downton Abbey, many critics were unhappy with the storytelling and farfetched shockers in season three, including when popular character Matthew died in a car crash. Fellowes took the opportunity to defend his work when speaking with the New York Times. "Most of the soap operas always use the Christmas special to kill huge quantities of their characters. So they have trams coming off their rails, or cars slamming into each other or burning buildings. It's a general clear-out," he said. Stuttering Liam (Anthony Borrows) has problems like you wouldn't believe. For starters, he lives in Liverpool during the Depression. He's also pummelled with Catholic doctrine at school. Dad's out of work. Sis has to work as a maid for a wealthy Jewish family. And of course, there's the stutter. Stephen Frears (High Fidelity) directs this powerful and moving work about a small facet of the past, and it's interesting to see him work without his trademark, wry humor as found in similar working-class-in-the-UK productions like The Van and The Snapper. 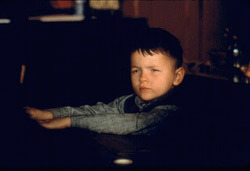 Ian Hart is apt as the down-and-out father who gets sucked into anti-Jewish Fascism (thus endangering poor sis's breadwinning), and Borrows is a put-upon and precocious (yet not disgustingly so) kid in the tradition of Angela's Ashes. A working class Scot finds out he has multiple sclerosis and goes downhill. If this sounds like your kind of fare, Go Now is for you. Ultimately, this is one depressing, incomprehensible (due to the accents), and horribly mistitled film. The controversy surrounding Priest has been forefront in much of the cinematic trade literature for weeks now. Miramax, the film's distributor, almost had the guts to release the movie, a powerful criticism of Catholic doctrine, on Good Friday. Priest is the story of Father Greg (Linus Roache), an idealistic young priest in Liverpool. The problem is that the young priest is gay, and he's torn between his hidden, inner desires and his faith in the church. Add to this his mentor, Father Matthew (Tom Wilkenson), an unconventional, karaoke-singing priest who is also breaking his vow of celibacy, and a teen-aged girl who confesses to Father Greg the incestuous abuse she experiences at the hands of her father. Greg is the victim of classic Catholic dilemmas: whether or not to break the seal of confession; whether or not to entertain his passion; whether or not to remain a member of the cloth.